On June 6, 2018 the authorities of the Moldavian Transnistrian Republic arrested the Secretary of the UCP – CPSU Central Council, Transnistria communists’ leader Oleg Khorzhan. Prior to his arrest some of our comrades have already been detained. 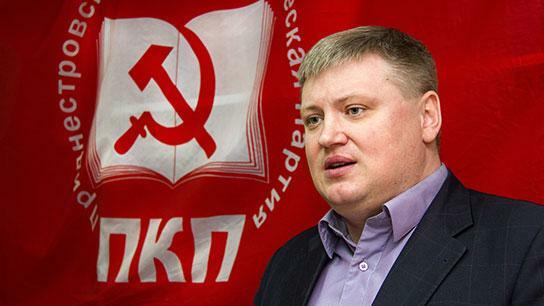 An absurd accusation has been put forward against the Chairman of the Transnistrian Communist Party Central Committee, a deputy of the Supreme Soviet of the MTR. Oleg Khorzhan which is known as a courageous and uncompromising fighter for legitimacy, has been accused in attacking law enforcement officers. In such a way the Authorities try to intimidate all independently conceiving citizens as well as to soothe growing social anger in the country. This entry was posted in Uncategorized on June 19, 2018 by adm.
Central Committee of the Communist Party of the Russian Federation warmly greets the delegates to the 23rd Congress of the Communist Party of India, all members of the Party, your allies and supporters. Your Congress takes place at a most difficult moment in international affairs. The global political and economic crisis overwhelms the world bringing the majority of common people back to misery. The bourgeoisie attacks the working class in an attempt to drive a wedge between proletarians to undermine international cooperation between communist parties. The Communist Party of India, being an important national political power actively opposes such an offence protecting the interests of the working class as well as long lasting friendship between Russians and Indians. The CPRF expresses its gratitude for the vigorous actions undertaken by the CPI to protect that friendship along with the memory about Vladimir Lenin, the founder of the first socialist state in the world. No one is able to break our relations! At the same time, the your Party conducts a wise policy cooperating with other left forces in India to make positive contribution to the development of the country. The CPI actively and consistently stands for the establishment of true democracy in the country, for the rights of common people. The strength of the party is not measured by the number of legislators, but by the presence among workers and peasants, youth and students — all those who support it. Proletarian consciousness, loyalty to the revolutionary party, maximum connection with the masses, strategy, tactics can unite society to achieve common goals: strive for better and fair life, for socialism. We wish the 23rd Congress successful work. We are confident that the Congress decisions will further strengthen the Party ranks and improve the Party’s prestige in the society. This entry was posted in Uncategorized on April 18, 2018 by International Department. Central Committee of the Communist Party of the Russian Federation salutes the delegates to the 22nd Congress of the Communist Party of India (Marxist), its members, allies and all those who support its struggle for interests of common people and their right to live in dignity. The Party Congress will have to evaluate party’s activity in all areas as well as to assess its leadership, strategy and tactics. The correctness of such an assessment is really vital as your Party Congress takes place in uneasy atmosphere of the hardest international economic and political crisis which inevitably provokes bourgeois assault on common people, their rights and freedoms. But despite of such a complicated situation, the CPI(M) keeps on fighting for our common ideals, for socialism. The Communist Party of India (Marxist), being an important national political power actively opposes right-wing religious reactionary parties protecting the interests of the working class as well as long lasting friendship between Russians and Indians. 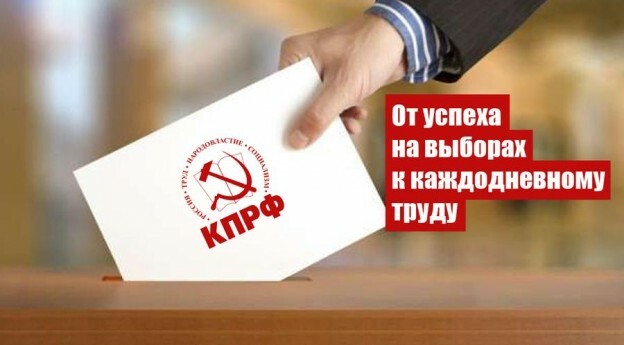 At the same time your Party undertakes all kinds of collaboration with national and international left forces to make positive contribution to the development of the country and international communist movement as well. The CPI(M) actively and consistently stands for the true democracy in India, for the rights of common people despite of growing pressure from reactionary forces. The CPRF expresses its solidarity with your struggle for our common goal. We wish the 22nd Congress successful work. We are confident that Congress decisions will further strengthen the Party ranks and improve the Party’s prestige in the society.